» How You Can Revive Your Relationships With Self-Hypnosis! Problems dealing with long distance relationships. Difference of opinions with friends or colleagues and you don’t know how to approach them to make amends. Teenagers, owing to their emotionally ‘volatile’ nature, can create disharmony in the family. Difficulty in “moving on” from a previous relationship or forming new contacts. Generation gap with parents; problem in getting your words through to your parents. Fear and nervousness associated with dating or meeting new people. It is not always easy to ask for advice regarding relationship. However, self hypnosis might come handy as you deal with strenuous relationships or struggle to form new ones. How hypnosis helps with relationships? Relationship hypnosis can totally change the way you perceive things and deal with the people around you. With reframed perceptions you can heal damaged relationships, and stabilize and maintain them in a healthy manner. Relationship hypnosis can also help you to recapture the lost feelings of love, romance, commitment, or friendship. This is necessary to get started with the healing process. Relationship hypnosis teaches you creative visualization. You will learn to visualize a brighter future with successful relationships. A strong relationship is all about how you communicate with the other person. It is not always communication is words. There are a few subconscious communication channels which can open up with hypnosis. Deals with negative emotions like unresolved anger, jealousy or low self esteem. Relationship hypnosis basically deals with the relationship you have with your spouse/partner. However, this process can be used to develop confidence in other relationships in your life as well. Listen to the following video. It can be a great help in the self hypnosis process. Another easy approach you can use…hypnotic letter writing. Prior to the writing process, you must decide upon the person you are going to write this letter to. Induce self hypnosis; it can be through any means you desire starting from Eye Fixation Method to Erickson Handshake Method, etc. Follow up the first step with step two. In step two, imagine that you are holding a pen. Have a detailed picture of that pen in your mind…its color, size and shape. Imagine holding it in your hand, try to ‘feel’ its weight and texture and tell yourself that the greater detail you imagine it in, the deeper you penetrate your mind. Also imagine that there is a piece of paper in front of you. Now think about the person you want to write this letter to. It should be someone who you want to express your feelings to. You should be positive that this letter will act as a healing balm to your relationship with him/her. On this positive note, start writing the letter. Imagine the pen writing on the piece of paper the words you want to convey. Express in your letter the issues you have faced in your relationship. Imagine that you are writing how difficult things have been for you. As you let go of old feelings…notice that you are feeling lighter…that your spirit is getting uplifted. Imagine the positive change in your relationship that this letter can bring. Once you are relaxed…come out of the hypnotic state. 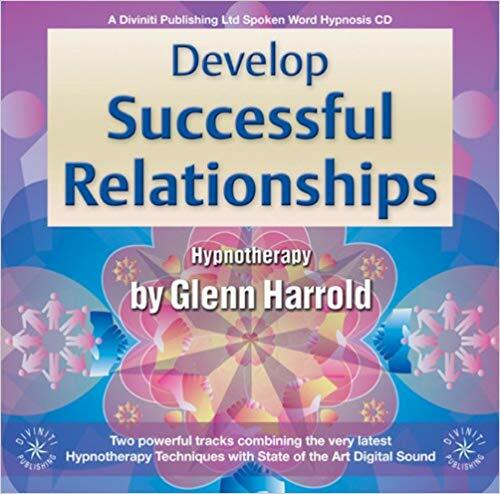 Channel the positivity induced by the hypnotic session to heal your relationship. To help with relationship hypnosis, here are a few things you might try checking out. Play the audio CD Develop Successful Relationships in the background and let go of the self doubts and anxiety once you initiate the process. 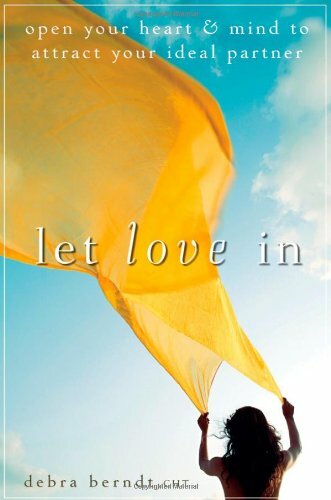 Or you can flip through the pages of Let Love In: Open Your Heart and Mind to Attract Your Ideal Partner – a book that makes you realize your worth and helps remove your internal blocks to pave way for true love in your life. Relationships are the basic pillars of our life. And if even one of them starts crumbling it can take your whole life down with it. Are you ready to take such a big risk? If not, let self hypnosis help you out. Previous Post How To Do Erickson Handshake Induction The Self Hypnosis Way! Next Post 6 Easy n’ Effective Steps Of Self Hypnosis To Manage Your Anger! !